I have read a lot of posts about movies that inspire travel. I love movies and yes there is an endless list of movies that promote a country, inspire an adventure in us all and offer us a glimpse into life in another country. While I love movies like that, I often think about movies that I have seen on the road in our travels. Many times in a conversation, someone will mention a movie and it will trigger a memory. Just the other day we were talking about Rambo at work and I said “hey, I saw that in Botswana” It happens all of the time and I will remember where I saw it and then relive that time in a country in my brain. It brings a smile to my face. We have seen a lot of movies during our travels. Most of the time, it is exactly the same as being in Canada, but there are a few memories of movies that stand out and will be remembered for the rest of our lives. 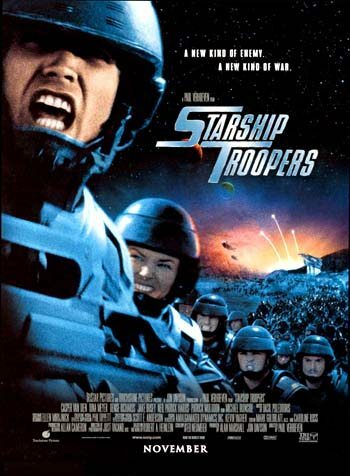 1- Starship Troopers. We saw this movie on a loop on a bus from Chang Mai to Bangkok. It played over and over dubbed in Thai. We were both extremely hung over from running into Canadians that owned a bar the night before. They kept our glass filled with Thai Wiskey all night long. We managed to wake up in time for our 7:00 am departure, but it was not a happy ride. The air-conditioning wasn't working, the windows wouldn't go down, I was dizzy and dehydrated and all I had to distract me for the next 12 hours was Denise Richards speaking in Thai. 2 – Return of the King. We were in Laos when the third installment of Lord of the Rings came out. We were really looking forward to seeing it and a restaurant was playing a bootleg copy that evening. Of course we went to check it out. The sound was terrible and it was cut to shreds. There are bootleg copies of movies all over South East Asia, so this was nothing new. But the reason I remember this so well is that I tried to adjust the sound because they had the reverb on high and the volume on low. Nobody was around to ask to fix it, so I decided to give it a try. Boy, was I told off for touching the knob. I don't know where she came from, but a lady came running out of the back with rage in her eyes and scolded me to the point where we decided that we had better leave. I never have seen the entire Return of the King. 3 – Kill Bill. We love seeing movies in Bangkok. The theatres are modern and state of the art. What we love the most though is the montage of the King at the beginning of each movie. The King is revered in Thailand and before each movie, everyone stands to pay their respects as a slide show plays depicting his life. This was in 2004 that we were there, but I am sure that their respect and love has not subsided and I am sure that this slide show must still play. 4 – Mona Lisa Smile – Kutching Sarawak, Borneo. Borneo is not exactly a place that you would think to go and see a movie. It is a place for adventure, wildlife and trekking. But we found ourselves relaxing in Kutching for a night and saw that a Julia Roberts movie was playing at the local theatre. The movie was terrible, but what we remember is a cockroach climbing up Dave's leg. We watched the rest of the show cross legged. And we remember the delicious caramel corn. No buttered popcorn, only caramel on the menu. 5 – Tracks of a Killer – Nobody has heard of this movie and even less have seen it. But it was one of the first movies that Dave ever worked on. 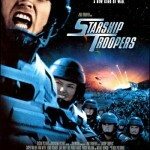 It starred Lance Henrickson of Aliens Fame and Kelly LeBrock AKA Steven Segal's ex wife. It went straight to video, but we just so happened to see it while we were sitting in a small bar downtown Paris. We thought that was pretty cool, and then a man walked in wearing a Panavision Jacket. For some reason we were feeling pretty bold so we asked him if he worked in the film business. It turns out he did and then we told him that Dave worked on the movie that was playing on the T.V. We were all best of friends instantly and we ended up drinking closing the bar. We actually stayed until way passed closing time and the owner bought all of our rounds of drinks as we drank wine and beer until the wee hours of the morning. The next day at Les Invalides was not a pleasant experience. The Italian Job. It was 2004, we were traveling around South East Asia for several months and it never failed, every time we stepped onto a bus, The Italian Job was playing. We got to the point where we hated that movie. We also got to the point where we knew every line and moment. 6 Responses to "Travel Movie Memories"
.-= Stephanie´s last blog ..Piran by Surprise =-. Very interesting post – I’ve seen a lot of unusual movies on buses, flights, and foreign theaters and hotel rooms, but the oddest one I’ve seen was in Paris, France – I wish I could remember the title but it was a art-house style independent film that was in Spanish with French subtitles – I speak only enough of each language to get by, but between the audio track and captions I was thoroughly confused as to what the movie was about. I’ve often thought about seeing it again with either English audio or subtitles, just to see if it would suddenly make sense, but haven’t come across it again since. Oh well. I suppose if everything in life made sense it would be very dull! .-= Trisha´s last blog ..The Laptop vs. the Netbook =-. Like Amy said, music is what I remember most about traveling. Everytime I hear Cold Play it makes me think of the night we stayed in the tower of a castle in Germany. We watched some special on tv-the only English speaking show we watched during a month’s time! .-= [email protected]´s last blog ..7 Tips for Traveling with Friends who Don’t Have Kids =-. .-= Shannon OD´s last blog ..a little charm…bagpipes and locks =-. Great post! I am the same way. Sometimes music is the one that stamped my memory of certain time of my life. Like some songs will remind me of what happened to me at that time similar to movie. And yes, I miss the song in the beginning of each movie in Thailand. .-= Amy @ The Q Family´s last blog ..Hiking up Chimney Rock with Kids Rocks! =-.